Murder suspect Sheila Lockridge has pleaded guilty to a lesser charge of manslaughter due to diminished responsibility. The 65-year-old had been charged with murdering her partner Diane Williamson, 70, at the home they shared in Gristhorpe, near Filey, but she denied the charge. A trial was due to be held today at Leeds Crown Court, but following long discussions between the prosecution and defence, the Crown Prosecution Service finally accepted Lockridge’s plea to manslaughter by reason of diminished responsibility. Lockridge, of Lodge Gardens, had entered a guilty plea to the alternative charge back in December but at that stage the CPS did not accept the plea to manslaughter. She is now due to be sentenced for the lesser charge, perhaps as early as tomorrow. Tahir Khan QC, prosecuting, told today’s hearing that although the Crown now accepted Lockridge’s plea to manslaughter, it did not accept Lockridge’s claims that it was the culmination of years of domestic abuse at the hands of Miss Williamson. “The Crown do not accept the assertion that has been made by the defendant previously that there was a long history of domestic violence involving her as the victim of domestic violence,” said the QC. He added: “On the issue of domestic violence…. There are statements from witnesses who relate occasions on which they were present when Diane Williamson was…. the victim of domestic violence at the defendant’s hands…. in the past. Mr Khan also rejected Lockridge’s claim that it was Miss Williamson who had instigated the violence which led to her death on September 2 last year. “Whilst the defenant asserts that it was the deceased who instigated the conflict and violence, the Crown are not prepared to accept that that is what happened,” added Mr Khan. Defence barrister Anthony Metzer QC said that owing to the nature of the psychological report on Lockridge, the Crown’s decision to accept the manslaughter plea was “the right decision”. Judge Guy Kearly QC said that “the view taken by the Crown (to accept a plea of manslaughter by reason of diminished responsibility) is an entirely-appropriate one”. The judge adjourned the case to tomorrow (Tuesday) morning, when the case will be mentioned and could possibly proceed to a Newton hearing or trial of issue, where fresh evidence is heard when there is a significant disparity between the prosecution and defence cases that could materially affect the severity of sentence following a guilty plea. Lockridge was remanded in custody until Tuesday’s hearing, when the judge will make a decision on whether to hold a Newton hearing, move straight to sentence or adjourn to a later date. 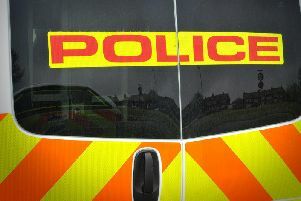 Miss Williamson’s body was found after police and paramedics were called to the property in Gristhorpe at about 7.40pm. Her family and daughter said they were “heartbroken and finding it very hard to come to terms with what has happened”.